MarcyKate Connolly is a writer and arts administrator living in New England with her husband and pugs. She's a coffee addict and voracious reader. This is her first novel. Readers seeking a lengthy, thoughtful novel, particularly those who appreciate careful world-building, will find this worth their time. 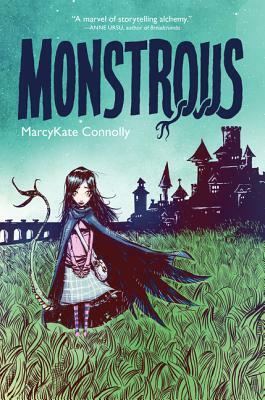 A likely read-aloud that has its share of guts, blood, and grim reality within this fantasy land, Monstrous will keep young readers thinking about trust, good and evil, friendship and loyalty, and devotion to community. Magic, fantastic creatures, mythology, and a bit of Mary Shelley’s Frankenstein combine here for an exciting…tale. Connolly invokes fairy-tale elements with ease, and... the formidable theme of sacrifice resonates far beyond the final page.